Poet and freelance journalist Albert Pellicer was born in Barcelona and works out of London. 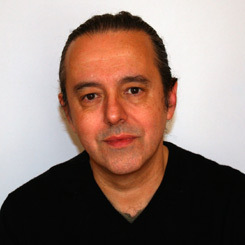 Pellicer's focuses his research on textual and sonic expression. His work carries a deep appreciation for indigenous values. Pellicer is co-director of Native Spirit Foundation, a UK-based charity promoting indigenous cultures. Pellicer also runs Our Voices Rising, a project that uses wind as a natural element to work with text and sound. Pellicer is currently pursuing a PhD in poetics at Birkbeck's Research Centre for Contemporary Poetics studying timbre in contemporary poetics.